Top row: Kevin Stepherson Jr., Ashton White, Dexter Williams. Bottom row: Max Redfield, Te'Von Coney. 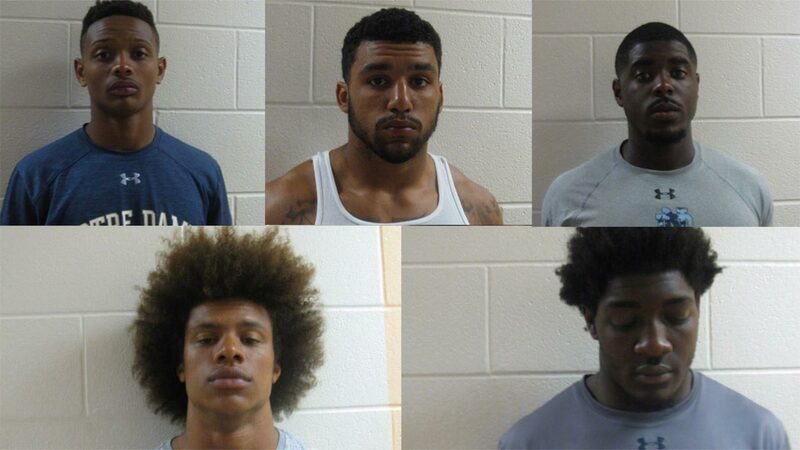 ROCHESTER, IN -- Five Notre Dame football players were arrested after Indiana State Police said a trooper found marijuana and a loaded handgun in their car, while a sixth player was arrested in a separate incident and accused of punching a police officer.